U For Change | Cycle 14 Applications! 22 May Cycle 14 Applications! 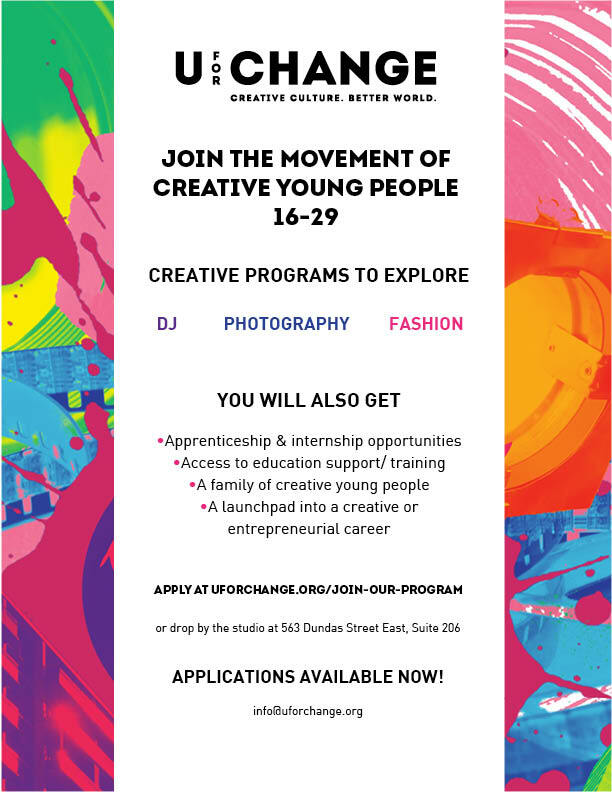 UforChange is currently accepting applications for their Cycle 14 Arts program until June 30th, 2018. We will be conducting interviews in July. This is a FREE 8 month program that teaches DJ arts, photography, and fashion to youth between the ages of 16-29. If you’re interested, you can find the application form here where there will be a google form attached.